In this research, we take a novel approach to overcome these issues by reshuffling the established sequence of the manufacturing steps of (i) alloy casting, (ii) wire drawing, (iii) wire weaving/braiding and (iv) wire bonding. 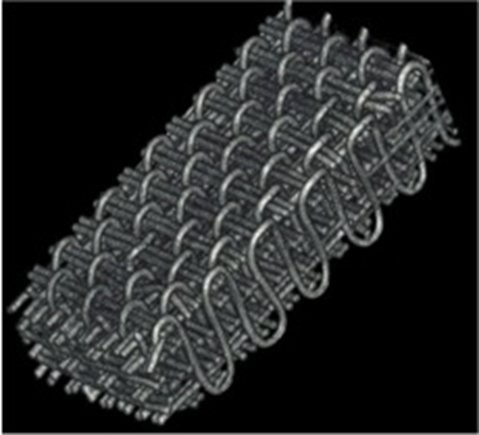 Specifically, we use ductile Ni-20 wt.% Cr precursor wires to weave or braid complex structures and subsequently alloy them by pack cementation (a chemical vapor deposition process), followed by homogenization and aging to achieve superalloy microstructures with γ' precipitates, while also creating bonds at wire contact points. The Ni-20Cr woven part to be alloyed is buried in a powder mixture (the pack) consisting of a filler (usually Al2O3), an activator (a halide salt), and a metal source (pure or in alloy form). At elevated temperature, the activator decomposes and reacts with the source to create a metal halide gas, which subsequently deposits the metal on the substrate surface. The deposited metal diffuses into the substrate and forms a coating, which usually extends a few tenths of millimeters into the part. 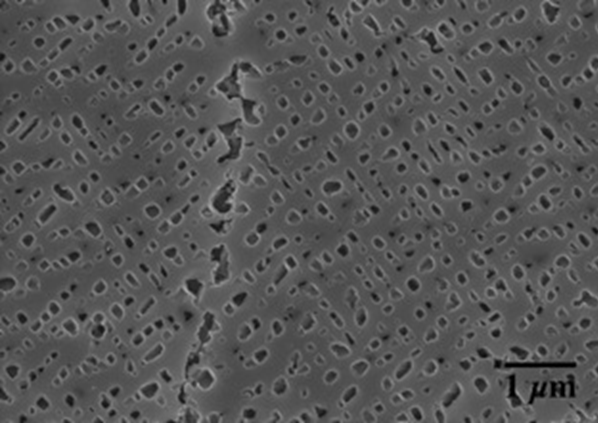 With this technique we alloy Ni-Cr woven structures with Al, Ti, and Mo, and achieve superalloy microstructure after homogenization and aging. We are also investigating the formation of Kirkendall voids in Ni-Cr-Al wires during homogenization, using X-ray micro-tomography. Funding: This research is funded by the Defense Advanced Research Projects Agency under award number W91CRB1010004 (Dr. Judah Goldwasser, program manager). 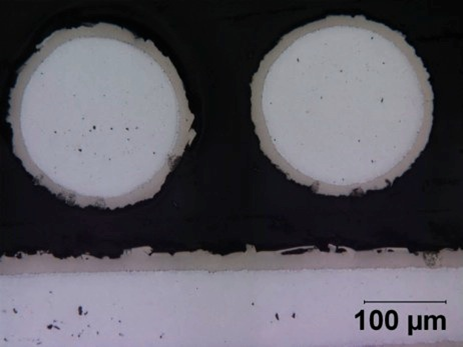 Figure 4: γ / γ' microstructure formed in a Ni-Cr-Al wire after homogenizing and aging.